Imlil Sahara desert tour: Amazing Combination of a day trek in Imlil followed by overnight camping in Zagora desert. The 3-day express tour will allow you to experience the Atlas mountain and Berber villages, visit the famous Ait Benhaddou Ksar and the Sahara desert. – Experience a camel ride and Berber camp in Zagora. Our journey starts from Marrakech with hotel pick up which will drop us at the Imlil village. From Imlil, we set out on our trek to the Tizi n’Tamatert (2379m) for a breathtaking panoramic view of the magnificent peaks and valleys of the Atlas Mountain range, the beautiful encircled plateau, and the Jebel Oukaimeden. After lunch, we follow the mountain path down to Tamatert village for a hot shower and retire to a well-deserved night’s rest. You set out on your trip to the southern part of Morocco after breakfast. 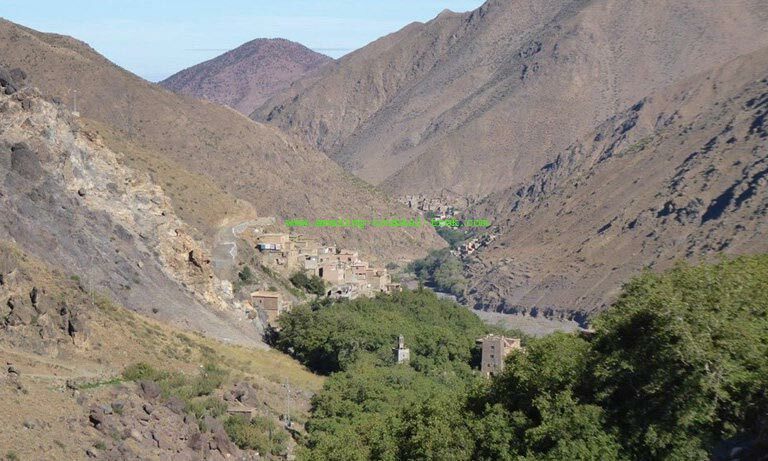 The car will take you across the High Atlas Mountain at the Tizi nTichka pass (at an altitude of 2260m), through zigzagging road with fantastic scenery of the Berber villages in the Imouzzar valley, one of the most natural communities in Southern Morocco. You will get to see the 15th century fortified village of Ait Benhaddou. 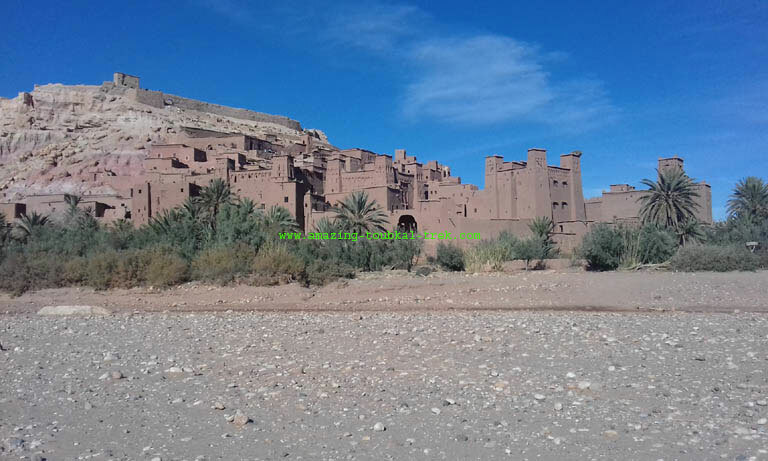 Next, you move on to Ouarzazate to see the Taourirt Kasbah, taking a short break at a hill on the city entrance to catch a beautiful view of the old decorations and cinema studios in the city. After lunch, you move on to Zagora via Agdez and into the Draa valley. At 1km away from Zagora, you begin the camel ride which takes you towards the nomadic camp in Nekhla dunes while you take in the beautiful view of the North African sunset. Dinner and breakfast will be served at camp. Get up early to catch the sunrise, after which we take breakfast. 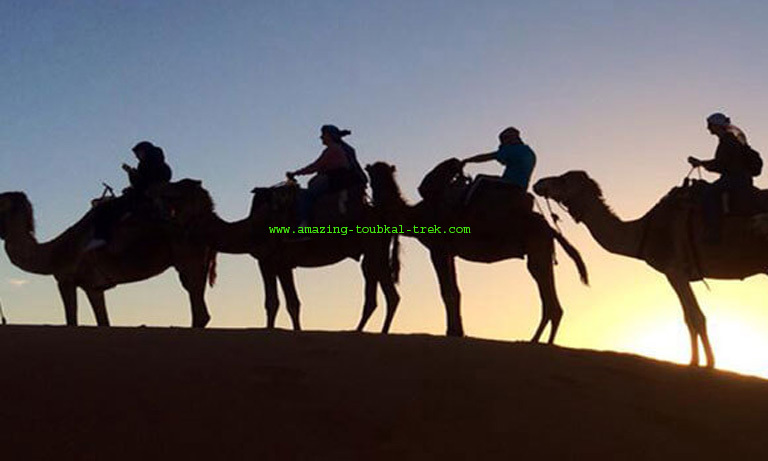 You may opt for a camel trek to meet your driver after which you continue on a drive along the Draa valley with stops at different locations for photo shoots and lunch before we make the return trip to Marrakech via Ouarzazate. It is important to state that the Nekhla dunes are a semi-desert, but it offers an excellent opportunity to explore the desert life complete with a camel ride and a night in a nomadic camp if you are planning a short trip in Morocco. But if you are spending up to 3 days, the Merzouga dunes, which is a full desert will be a better choice. – Imlil Sahara desert tour is available and can be arranged for groups of all sizes. Imlil Sahara desert tour: Combined Atlas mountain and Sahara trip with Hotel pick up. Express Atlas Mountains and Desert Trip, Imlil Sahara desert tour.